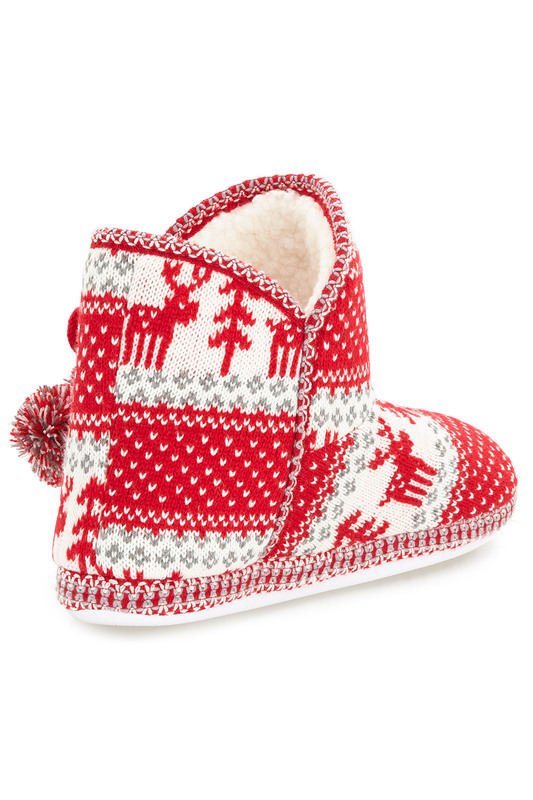 Embrace the festive season in traditional style with a pair of web exclusive Fairisle bootie slippers. 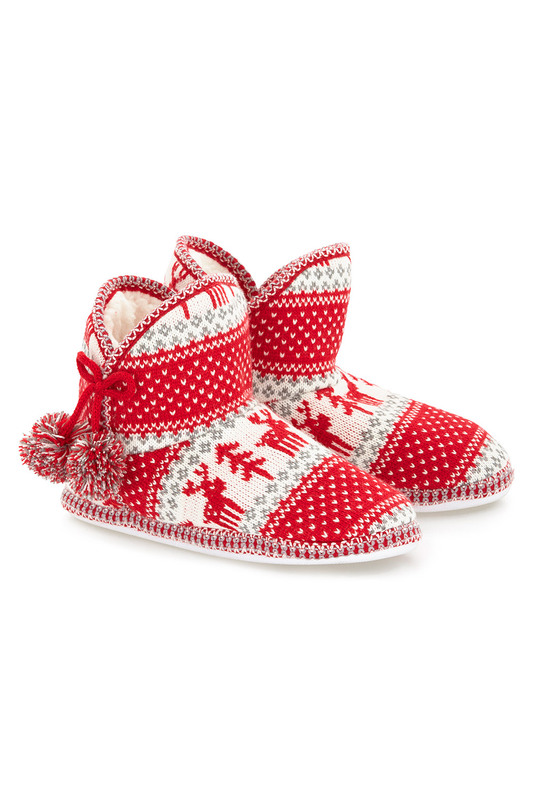 These red, white and grey designs feature knitted reindeer and fir tree patterns that capture a seasonal feel. 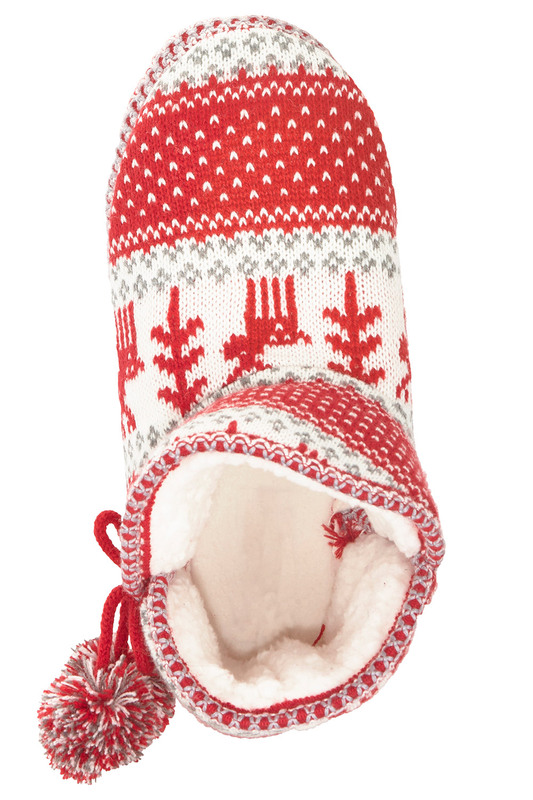 Snug faux-fur linings and padded soles make them extra comfy and perfect for slipping on after a long day. 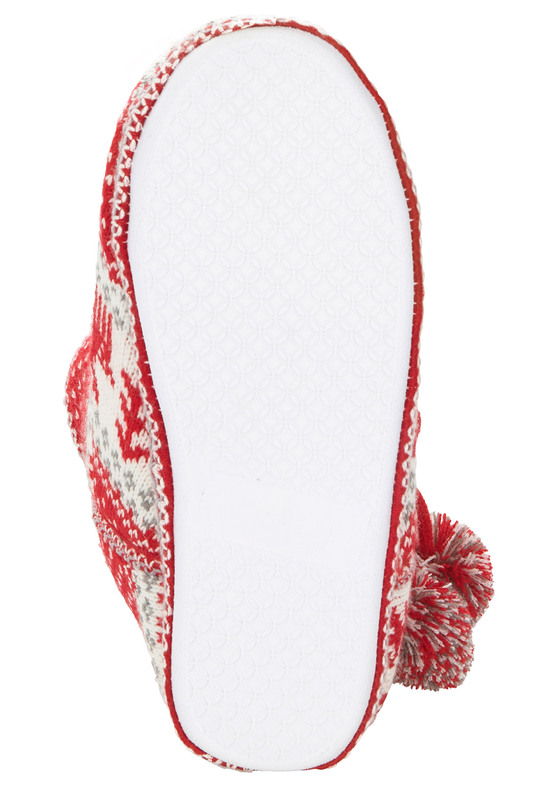 A pompom tassel adds the finishing touch. Pair them with your favourite pyjamas.